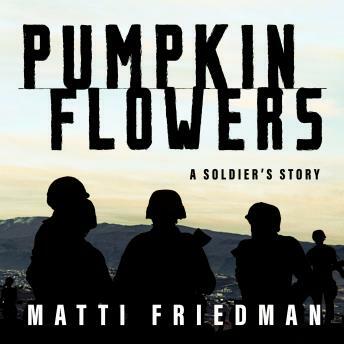 Using humor, pop culture, and even musical references, Matti Friedman recreates the wartime experience in a narrative that is part memoir, part journalism, part military history. The years in question were pivotal ones, seeing the perfection of a type of warfare that would eventually be exported to Afghanistan and Iraq and has come to seem like the only kind of warfare in existence - wars in which there is never any clear victory, but not quite enough lives are lost to rally the country against it. It was one small hilltop in a small, unnamed war in the late 1990s, but it would send out ripples still felt worldwide today. The hill, in Lebanon, was called the Pumpkin; “Flowers” was the military code word for “casualties.” Award-winning writer Friedman re-creates the harrowing experience of a band of young soldiers-the author among them-charged with holding this remote outpost, a task that changed them forever and foreshadowed the unwinnable conflicts the United States would soon confront in Iraq, Afghanistan, and elsewhere.